A short video of the Electrom exercising the right of a bicycle to roll up onto the sidewalk and park. It’s very handy to be able to park right in front of your destination. Great news, the Electrom1 Production Sample frame is complete. The machining and welding was completed this week and the results look fantastic. 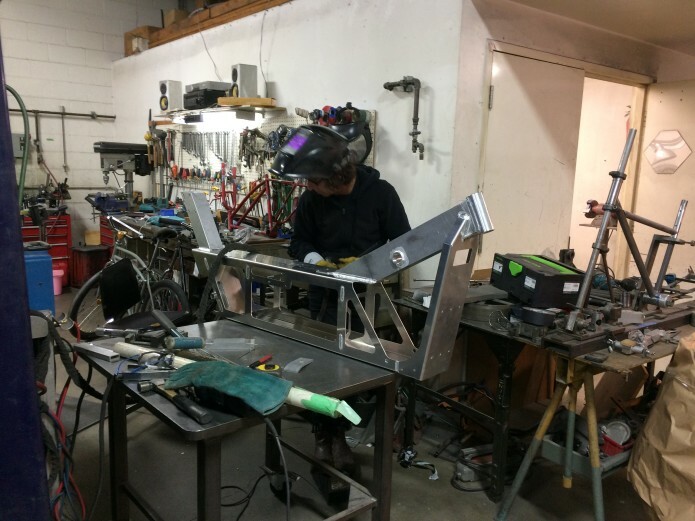 The assembly took place in Vancouver, with the welding services of Toby Schillinger at Toby’s Cycle Works. The laser cut frame parts came together perfectly thanks to the fantastic CAD work of Robin Coope, who also handled the bulk of the other fabrication work, which ranged from water-jet cutting, milling, and lathe work. Robin working on the rear swing-arm. I am waiting for a couple of parts to arrive for the steering assembly, at which point the sub frame and components will be ready for road testing. I’m happy to report that the Electrom frame design is complete. We have sent the schematics out to several aluminum fabrication outfits in Vancouver for quotes on the cost to produce the first sample frame. 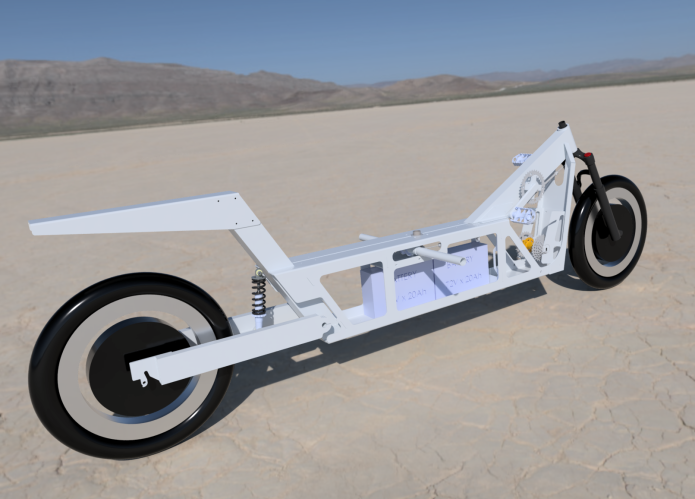 Here’s a rendering of the stripped down frame. A number of sample parts are in and waiting to go on the Electrom. Especially exciting is the Zzipper fairing from Zzip Designs. 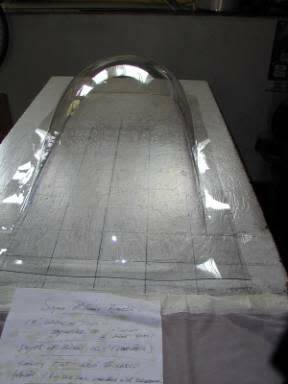 This heat-formed poly-carbonate bubble will make up part of the front fairing system on the complete Electrom kit. Battery: 72 Volt, 20.3 AH pack with Panasonic PF cells and 60 amp BMS. …and many more small parts such as signals, headlight, throttle, etc. It has taken a little longer than expected to work out the CAD plans for the Aluminum fuselage. We are still finalizing the steering details. At this time the plan is to use hydraulic actuators for steering control. The hope is that this will allow for a sealed, maintenance free steering system. I have engaged the help of a Professional Engineer based in Vancouver to help design the aluminum frame for the Electrom 1. It has been an extremely rewarding process. One of the highlights has been learning about the manufacturing processes that are available to us in Vancouver. The main frame (we’re calling at a fuselage now) will be constructed from a combination of bent 6061 aluminum sheet and extruded 6061 rectangular tubing. 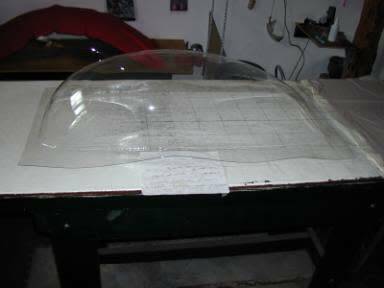 The completed fuselage will be heat treated and either painted or powder-coated. 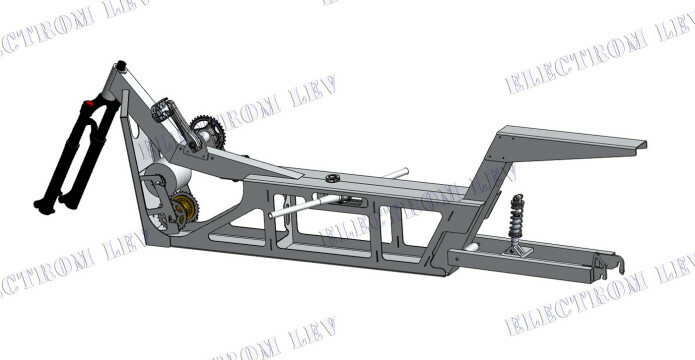 Progress is also being made on the steering assembly, wheels, seat and other elements of the completed vehicle. We have been work-shopping the design via email and SolidWorks CAD files. These are exports of the working drawings so some elements have not been drawn in their final positions. Things are moving with the Electrom. A number of the parts for the production sample have arrived, The Golden Motors hub motors are here, as are the Heidenau moped tires. 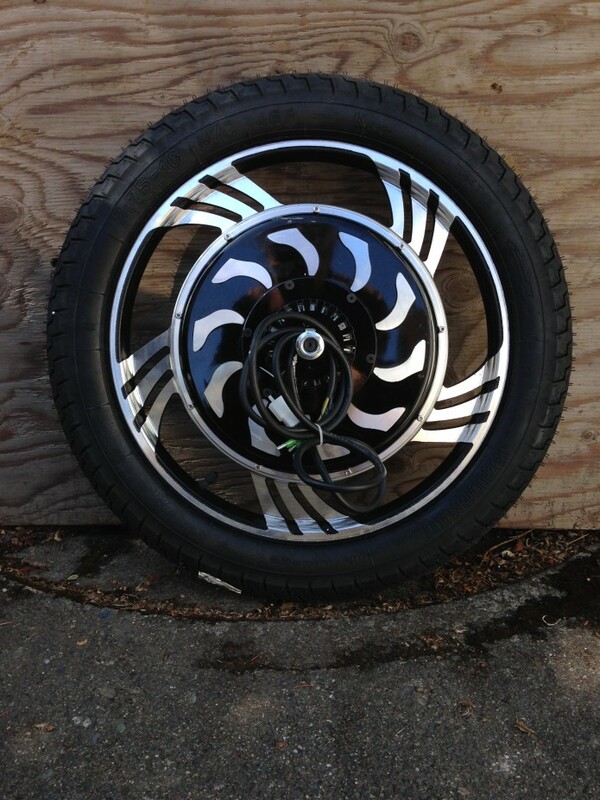 I’m really exited to try these tires, they’re 16 X 2.75 (16 inch moped is the same size as 20 inch bicycle) They have a good all-condition tread pattern and are DOT rated to 90 KPH so should easily handle the Electrom’s top speeds. I’ve mounted them to the Golden wheels and they go on easily and look perfect. I believe that these tires will provide a nice balance between weight, handling and durability. 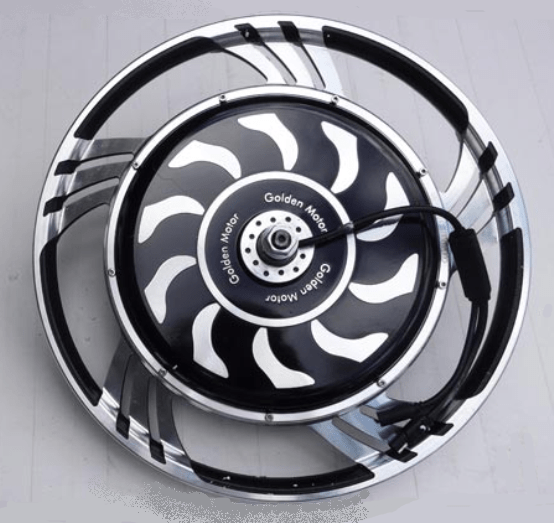 The outer diameter of the complete wheel is 21.75 inches, so will meet the California minimum wheel-size requirements for a bicycle. 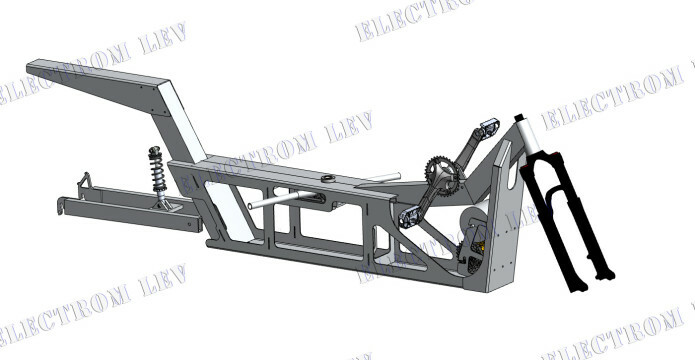 We are also working to produce CAD drawings of the Electrom1 frame, it will be an aluminum monocoque main frame with some square tubing at the front end. 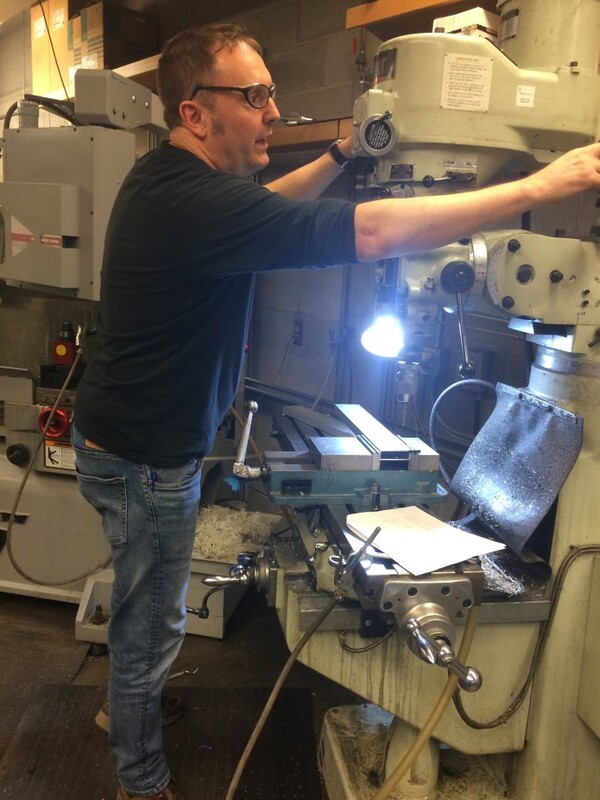 I have been working with a highly skilled engineer and fabrication specialist in order to craft a design that will be both robust and easily manufactured. Stay tuned for some renderings. There’s a lot to do in the creation of a new vehicle type, but we are well on our way. Over the past two weeks we’ve been busy researching and placing orders for component samples.